Authorities racing to find a suspect in the investigation into more than a dozen threatening packages sent to prominent Trump opponents got their break from a small but key clue: a single fingerprint. The fingerprint was on one of the envelopes bearing explosives that had been sent to California Democratic Rep. Maxine Waters, FBI Director Christopher Wray said at a press conference on Friday, hours after law enforcement announced they had detained Cesar Sayoc Jr., 56, an Aventura, Florida, man who had been arrested before. He is now being held at a federal detention center in downtown Miami. 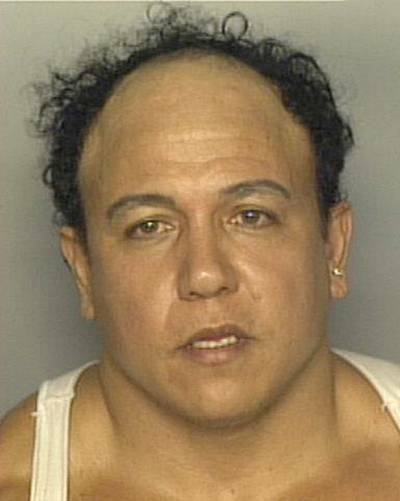 Multiple senior law enforcement sources told NBC News that Sayoc denied that he was behind the mail bomb campaign when he was initially questioned by investigators under the national security exception to the Miranda law. Regardless, his history of run-ins with the law meant he was in law enforcement's database — and when an initial lab analysis of the suspicious packages turned up a fingerprint on the parcel destined for Waters, investigators were able to confirm it was a match. "This is phenomenal work with the greatest pressure under an incredibly tight time frame. We see unbelievable work like this on TV and in Hollywood, but to see it up close in reality is something to behold, and we are so proud for our team at the lab for their work in keeping people safe and helping to find the individual responsible," Wray said. In addition to the fingerprint, Wray added, there was a "possible DNA connection" found between evidence collected from two of the bombs and a sample collected from Sayoc related to an earlier arrest in Florida. The arrest came at the end of a tense, days-long investigation that stretched across the country and involved numerous law enforcement agencies working together. "Amazing work by FBI, ATF, NYC's Joint Antiterrorism Task Force, NYPD, and law enforcement in Florida, California, New York, and across the country. One latent fingerprint and two DNA samples led to the arrest of Cesar Sayok for federal crimes that would put him away for decades," tweetedHarvard law professor Laurence Tribe. The discovery was further bolstered by other evidence, according to court documents filed in the case, which say misspellings on the addresses of the packages were consistent with misspellings on Sayoc's Twitter account. Earlier Friday, New York Democratic governor, Andrew Cuomo, praised President Donald Trump for pledging "total coordination between state, local and federal resources — and he did that." "This is a tough investigation. They handled it extraordinarily well," Cuomo told MSNBC's Andrea Mitchell. But he warned the worst may not be over. "I would not be surprised if there are additional packages, just because he is caught doesn't mean he doesn't have other packages in route," Cuomo said. "Again, the good news is none of them have detonated. They're not fake bombs, that's propaganda, but they're not highly sophisticated devices either, so everyone should be on full alert." For investigators, the packages likely contain a treasure trove of DNA and prints, retired ATF Special Agent In Charge Jim Cavanaugh told MSNBC earlier. "On 10 unexploded bombs, that's going to be a fingerprint party," he said. No one was hurt by any of the bombs, which Wray confirmed were "not hoax devices." 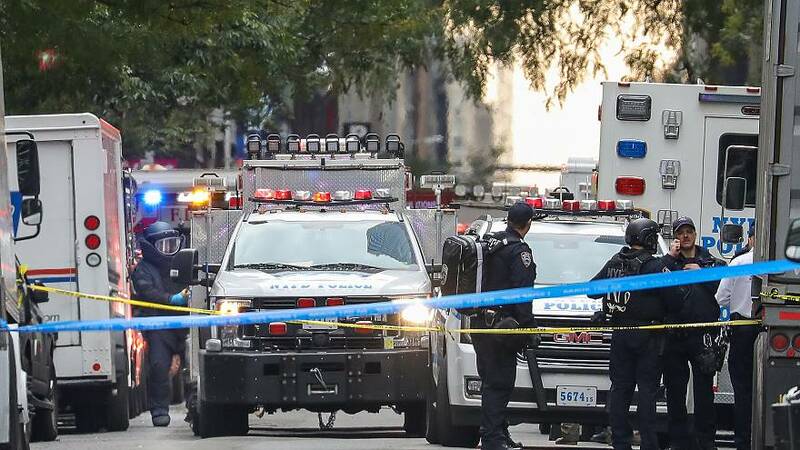 It is not clear what the motive was behind the packages, which came just two weeks before the midterm elections and all apparently targeted critics of the Trump administration. Sayoc has been charged with five federal crimes and faces up to 48 years in prison. A spokesperson for the U.S. Attorney's Office said Sayoc's first appearance in federal court will be on Monday in Miami before Magistrate Judge Edwin G. Torres at 2 p.m.